​Blongo or Ladder Golf is played with 2 or more players or teams. Each player has 3 golf ball bolas. A bola is 2 golf balls attached by a nylon rope. 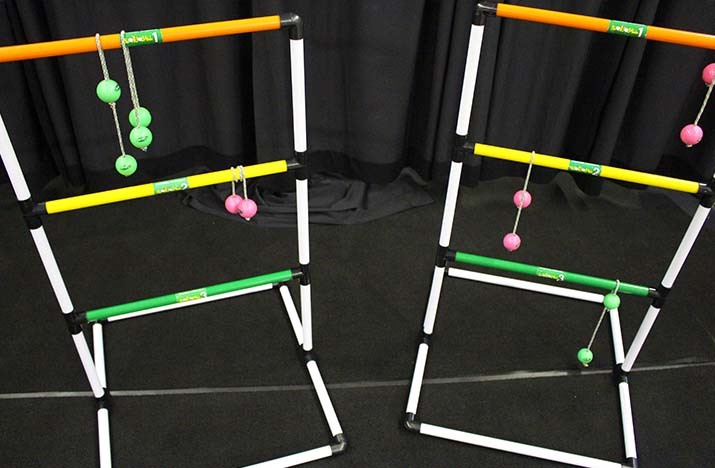 The object of the game is to wrap your bolas around the steps of the ladder. The ladder consists of 3 steps, a top, middle and a bottom step.